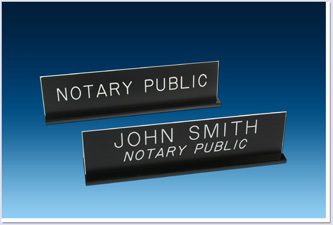 Call attention to your services with our 8” x 2” black acrylic base desk signs. Perfect for public display. Also can be personalized with your name.